Chicago (AFP) - Residents of two suburbs near the US city of Houston were warned to "shelter in place" for much of Thursday morning after elevated levels of a volatile chemical were detected following an industrial plant fire. The Texas cities of Deer Park, where the Intercontinental Terminals Company (ITC) plant is located, and Galena Park both issued the alerts, which were lifted by early afternoon. "Early this morning, certain air quality readings were found to be above our very conservative air quality standards," said Lina Hidalgo, the chief executive of Harris County where Houston and its suburbs are located. "At this time, air quality readings that we are monitoring are at lower levels," she said in a statement. 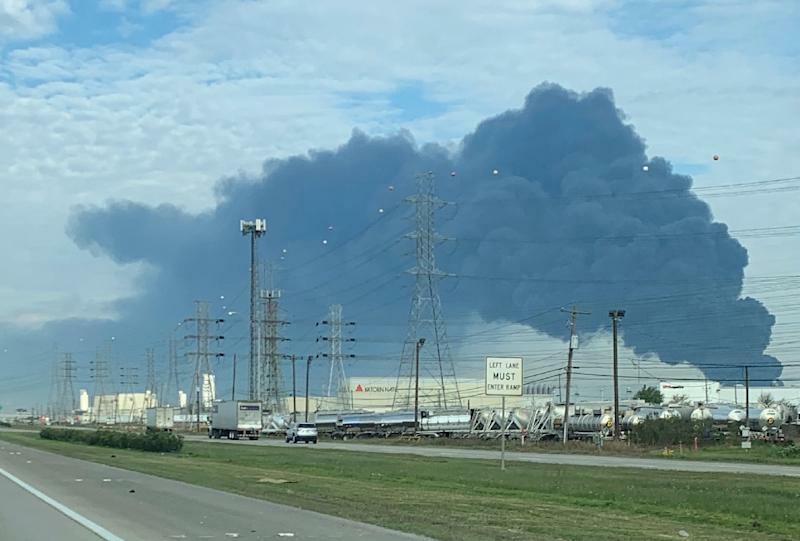 A fire, which ignited Sunday and was extinguished Wednesday, burned through several chemical storage tanks at the plant -- sending a giant plume of black smoke over much of the Houston area and panicking residents. Officials had insisted that air quality remained safe. But ITC said Thursday morning that responders at the site of the extinguished blaze detected increased levels of benzene, after foam used to seal the tank containing the chemical shifted. Crews worked to move the chemical to a different tank and reseal the damaged one. Deer Park placed a number of barricades on city streets and told alarmed residents to stay in their homes. School was canceled and local court business was rescheduled. Benzene is a quickly-evaporating chemical used in the manufacture of other chemicals and synthetic products, according to the Centers for Disease Control (CDC) which warns that long-term exposure to high levels of benzene can cause cancer. Since the fire ignited over the weekend, the burning storage tanks filled with chemicals used in gasoline mixtures and paint thinners left many residents worried about exposure to fumes. Company and government officials had repeatedly reassured skeptical residents that testing showed air quality was below hazardous levels. Environmental Protection Agency official Adam Adams said Thursday that the agency had detected no "hazardous conditions that are continuous."